You won’t see me recommend any products or services on my blog that I don’t use myself. I guess I’m the guinea pig for Motif but so far I really like it. Once I did a little research on Motif, I had to give it a try. I’ve always been interesting in index funds and etf’s but couldn’t justify buying them over individual stocks due to management fees. Motif Investing allows the diversity of these funds without the management fees. What I did was construct a Motif of all 30 stocks in the Dow Jones Industrial Average and weighted them accordingly with their current weights. My second purchase actually just involved purchasing more T in that same Dow 30 Motif. After my last 200 shares of INTC were called away recently, I was left with about $5k in cash. I transferred this cash to my Motif account for my 3rd purchase. I wanted the majority of this purchase to actually go into AT&T (T). Since I recently made a purchase in this account of just T, I’m very much overweight in this position. All I had to do was purchase my Motif and it would keep the same weights that were already in place. I know I have 29 small positions currently but that’s ok because I’m still purchasing a little at a time. Another great thing is that I can re-balance the entire portfolio for just $5 any time I want. Let’s say my AT&T position gets a little too large for my liking or that this portfolio grows to $100k in value. I could equally balance all positions to 2.5% if I wanted to. 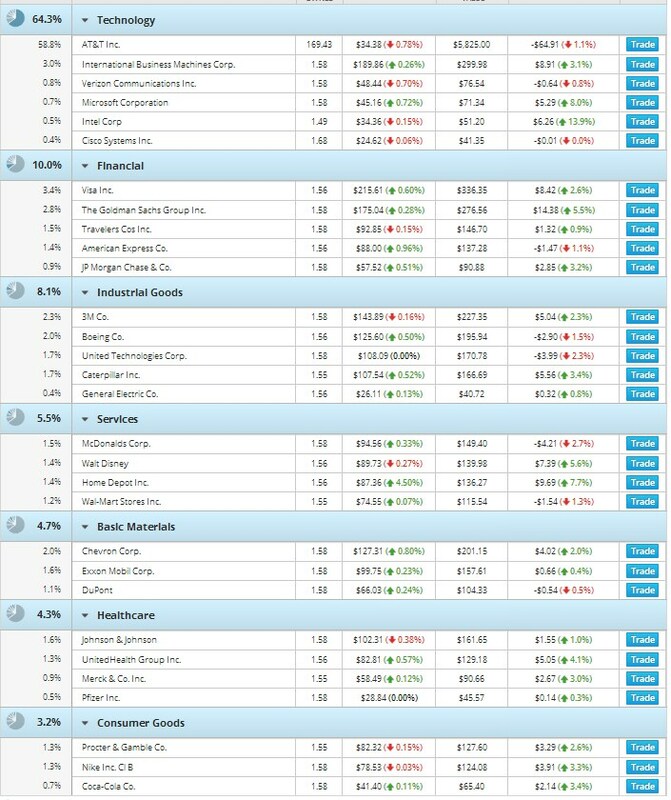 Currently this portfolio yields 4%. 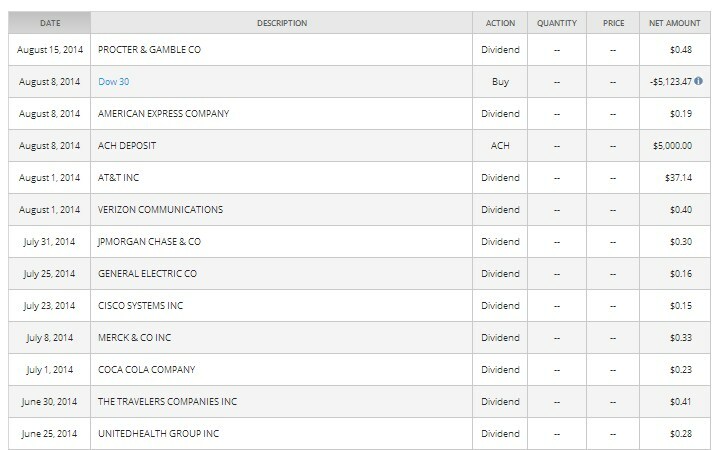 As you can see, I’ve collected dividends from 11 different companies in the DOW in just a month and a half. Even though all the dividends are small besides AT&T, I like seeing the consistent payments. If you do decide to give Motif a try, I ask that you click on the banner on the right sidebar. You will you get up to $150 by doing this. I also get a small payment. Thanks for sharing your recent Motif investment with us. I think Motif is a very interesting way to invest. In fact, I just read an article about them which listed them as a potential “disruptor” to the financial/investment establishment. 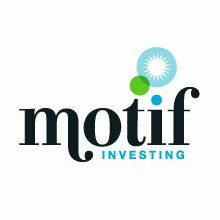 As you mentioned, I think Motif can be a great way for a newbie to simply start dividend investing. 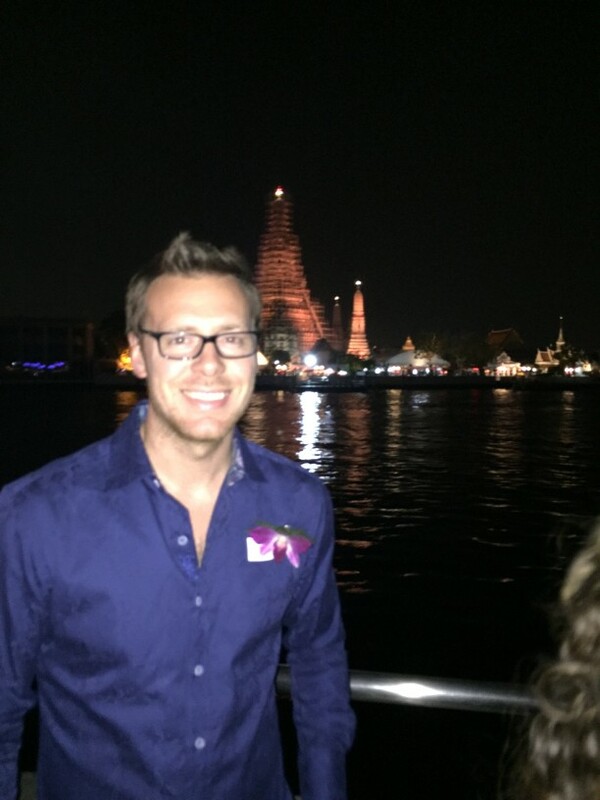 Everyone needs to take a first step at some point and the ease, cost and diversification of Motif makes it possible. Solid buy! Sure, I’m hoping my experiences will be helpful to some others out there that are thinking about Motif. The concept is definitely unique and I could see them disrupting as you mention. Have many different payers just starting out could be nice psychological motivication as well. I think it’s great for someone starting out. I’m not starting out and still like it. I haven’t researched it but I’m paid qualified dividends which are taxed at a lower rate by the IRS just like in my other accounts. There shouldn’t be any additional tax consequences to worry about with this account. Motif is definitely an interesting concept. Provides diversification without requiring that much capital. I think I might have to deposit some funds this month and try it out. Thanks for sharing your experience with it! I agree, they could be a “game changer”. It’s a unique concept and I think they are gaining some traction with newer investors. No problem, I’ll continue to post about my experiences with it.